Robert used to live a drunkard life. There wasn’t a day that passed that he didn’t indulge himself with liquor. If he had no job at the daytime, he would already start drinking as early as morning. His intoxication became a domestic problem as it affected the relationship between him and his family. “Life was difficult when I transferred here in Sogod. I had no friends and relatives. I didn’t have a proper job. I fell into despair knowing that I didn’t have enough to feed my family. I resorted to drinking liquor from morning until evening to forget the misery I felt,” said the 49-year-old fisherman. 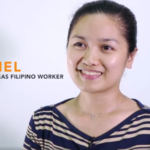 55-year-old Dencia, a mother of three, spends a part of her time as a volunteer of World Vision. She also attends some of the organization’s seminars and workshops. One significant workshop that she attended is the Celebrating of Families (CoF) – a relationship-focused and spiritual nurture activity for families. The wife applied some of the topics she learned to her own family. Her effort was fruitful when she observed that her husband was gradually changing. Until a time came when she finally convinced him to join a community spiritual group. It was when Robert’s battle against his vices was strengthened. 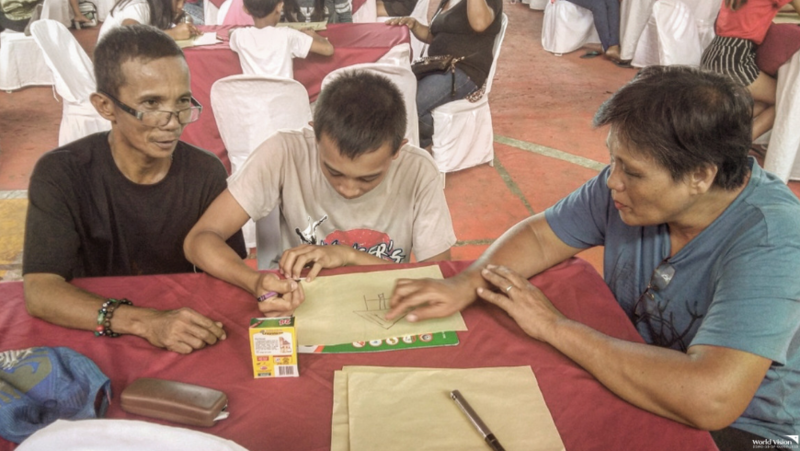 Robert and his family joined a Family Day celebration organized by World Vision. “I felt comfortable and overwhelmed at the same time. 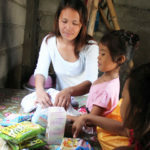 I am happy to meet this kind of organization that values family and reconciles broken relationships,” the father shared. “Me and my family got the chance to talk, share and listen to each other,” he cheerfully added. Now, the family has totally restored its relationship with each other. 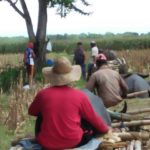 They are now talking with each other – sharing about their everyday life. For Roberto, he finally stopped his addiction with alcohol. “The love of God should be shared and should be felt in the family and the community. I hope the organization will continue to spread God’s love,” the renewed man declared. Following her 18th birthday, teen celebrity Bianca Umali flew to Marawi to bond with children in World Vision’s child-friendly spaces. World Vision Ambassador for Child Sponsorship Joyce Pring celebrated her 24th birthday by organizing a party for more than 30 World Vision-supported children.